Beautiful cottage in a great spot. Home made bread and bickies were wonderful. We were amazed by how much luxury we found inside and never imagined it could be possible. To be able to soak in a hot tub after a long day of traveling was fantastic. The location offers wonderful views and it was hard to believe we were only minutes from town. Fresh baked bread, great selection of teas and coffee and everything needed for a hearty breakfast to start the day. My wife kept telling me how happy she was to have stayed here. Thank you Gwen and Grace Cottages. Beautiful place to stay, we loved everything about Grace cottages, wish we stayed longer! Excellent presented and equipped “cabin” that was very clean, fully equipped with everything one would need in a rural setting for a few days. The host added nice touches such as fresh local flowers, fresh baked bread and cookies, milk, eggs, drinking water, butter, nice soaps, washing powder, ext. All you have to bring is your own drinks , snacks and wine! The location is very quiet and is about 5 min to heart of the very interesting town of Urulla where you will find suprisingly interesting shops including a great pub the “top hotel”, the amazing “pie mechanic “ patisserie, organic and local produce cafes, a brewery, alternative and creative shops. Much better than more “cooler” than Armidale and surrounding regional cities. Home made bread and cookies! Great for wildlife sightings. Welcoming host. Dishwasher! We liked everything about our memorable stay at Grace Cottages. Seamless arrival, welcoming environment and inclusions in cabin. Home made bread and biscuits, every variety of tea and coffee, breakfast ingredients of cereal plus eggs, bacon, butter, jam, filtered water, plus jug full in fridge, plus milk, and a posy of fresh flowers on the table! 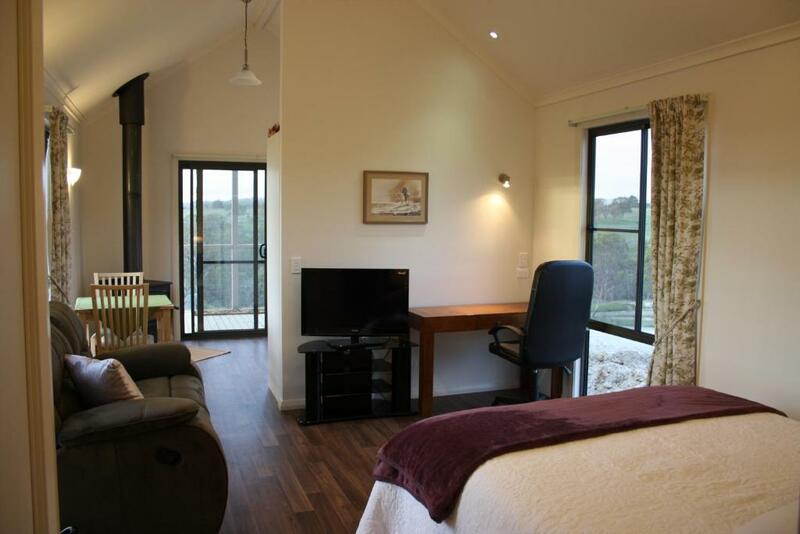 Everything designed for comfort, plus a beautiful country view from the verandah, together with lorikeets during the day and rabbits in the evening! So peaceful and private. Very quiet and beautiful location. Great for relaxing. Wow! The quality of the accommodation is amazing. It is as new. Beautifully maintained. There is a view of rolling hills in a rural location. Should you get a clear night the stars are fantastic. Gwen is a wonderful host too. Grace Cottages is a fabulous place to stay - beautiful views, excellent amenities, extremely clean and so quiet which is exactly what we wanted. 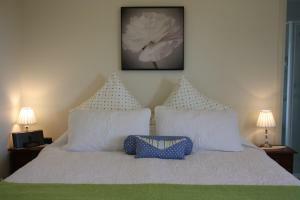 Grace Cottages are in a quite, peaceful location and are well equipped for a comfortable stay. The bed and pillows were lovely and the bath was a welcome addition. We would definitely stay there again. Lock in a great price for Grace Cottages – rated 9.8 by recent guests! Grace Cottages This rating is a reflection of how the property compares to the industry standard when it comes to price, facilities and services available. It's based on a self-evaluation by the property. Use this rating to help choose your stay! Grace Cottages are set on 5 acres, in a quiet and secluded location, hidden at the end of a no-through road. 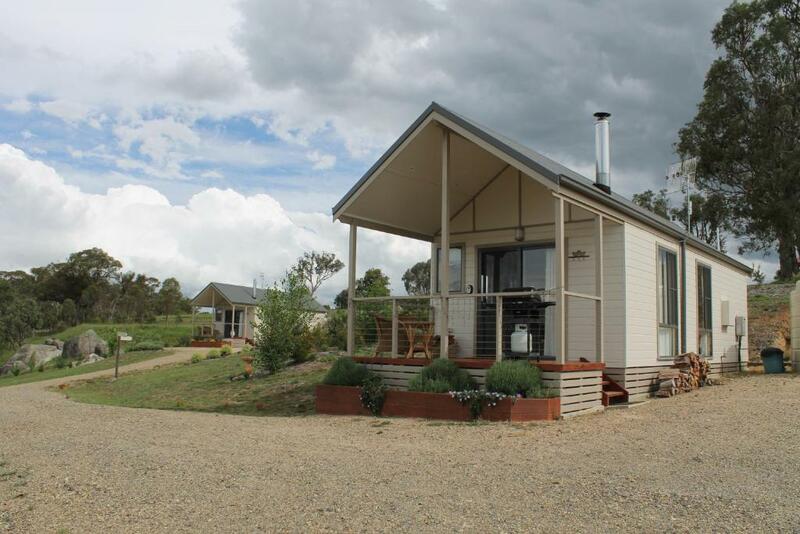 Just 1.2 mi from Uralla town, it offers free Wi-Fi access, free breakfast provisions and splendid views of the surrounding countryside. The cottages feature full kitchen facilities with a dishwasher, a microwave, an oven, a full-size fridge and kitchenware. Each comes with a washing machine, TV, a DVD player and an iPod dock. The private bathroom features free-standing bath and a separate shower. The property provides basic kitchen supplies like olive oil, spices, sugar, coffee, tea and biscuits. The free breakfast includes fresh bread, free range eggs from homegrown chickens, cereal, milk, butter and jam. Uralla Grace Cottages are 1.2 mi from Why Worry Winery and Thunderbolt's grave and statue. McCrossin's Mill Museum is a 5-minute drive away. This property also has one of the top-rated locations in Uralla! Guests are happier about it compared to other properties in the area. 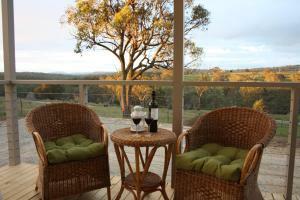 This property is also rated for the best value in Uralla! Guests are getting more for their money when compared to other properties in this city. When would you like to stay at Grace Cottages? This cottage includes full kitchen facilities, a washing machine, and a lounge room with a DVD player and a flat-screen TV. The bathroom comes with free-standing bathtub and a separate shower. There is a balcony with barbecue facilities and views of the surrounding countryside. This cottage includes full kitchen facilities, a washing machine, and a lounge room with a DVD player and a flat-screen TV. The bathroom comes with free-standing bathtub and a separate shower. House Rules Grace Cottages takes special requests – add in the next step! Grace Cottages accepts these cards and reserves the right to temporarily hold an amount prior to arrival. All good. No complaints all was fully catered for and beyond expectations and we travel a lot internationally and locally through many types of accommodations and varying budgets. Can't think of anything that could have been better! We would like to have stayed longer! Peace and quiet and unobtrusive host. The bed is a little soft but that is personal preference. An extremely comfortable and well looked after accommodation, with very good views of the countryside. Isolation, quietness, privacy, view and appointments in the cottage. Breakfast ready to go!